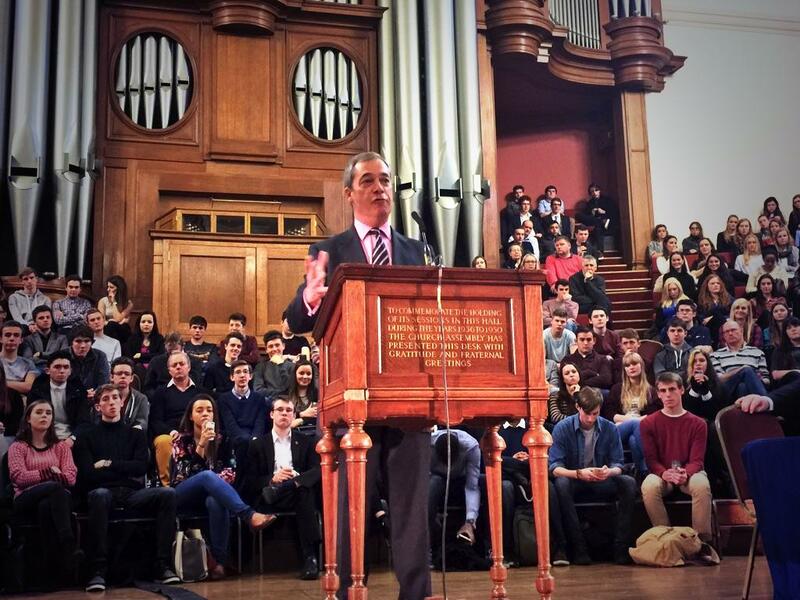 UKIP leader Nigel Farage this morning spoke to hundreds of A-Level students at London’s Methodist Hall, discussing UKIP policies and the future of British politics. Nigel fielded questions from the student audience, as well as outlining UKIP’s policies on foreign aid, tuition fees, and more. He spoke of the party’s commitment to scrapping tuition fees for STEM (science, technology, engineering, and mathematics) students, and discussed how UKIP isn’t an anti-immigration party, but rather is dedicated to a sensible, UK-controlled Labour market policy. Students responded positively to the speech, with dozens queuing for ‘selfie’ photos afterwards. READ MORE ABOUT UKIP POLICIES HERE.